KRS TRAVEL GRANT APPLICATION HAS BEEN EXTENDED! KRS Travel Grant applications date has been extended until November 26! Up to 5 applicants will receive the KRS Travel Grants for attending the 12th APVRS Congress in Seoul, South Korea. Successful applicant will each receive US 500 and Free registration. please send the email apvrs2018@ezpmp.co.kr as free format. Free papers, posters, e-posters and videos are all welcome. All authors are encouraged to read the submission guidelines carefully and submit their abstracts well in advance of the deadline in order to avoid any last-minute complications or delays. Late submissions will not be accepted. 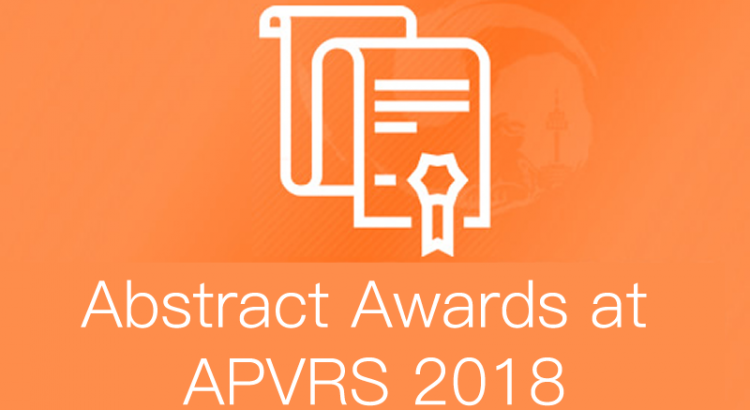 The APVRS Congress will present awards for the best abstracts in several different categories at APVRS 2018, as outlined below. All winning authors will be recognized in the APVRS final program book and receive complimentary tickets to the Congress Party on Saturday, December 15, 2018, where they will be presented with their award certificate. All winners must attend the Congress Party or nominate a representative to accept their award. 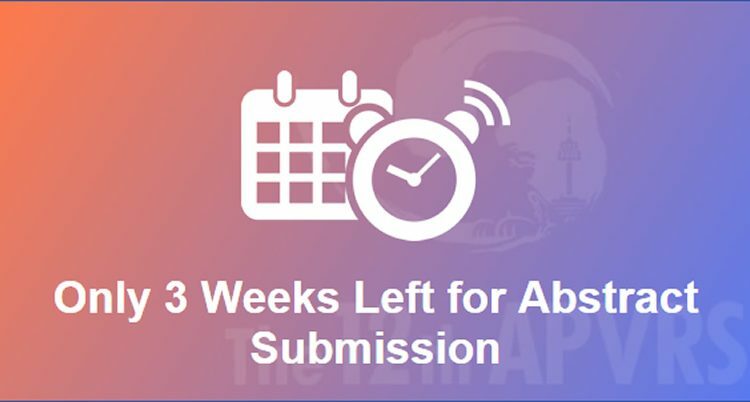 There are only 3 weeks left to submit your abstract to for the 12th APVRS Congress. Don’t delay! Abstract submission will end on Friday, July 20, 2018 at 11:59 pm (GMT+8). Late submissions will not be accepted. Just a few hours away from Seoul by bullet train, Busan is Korea’s second largest city and a destination known for its beautiful natural scenery and delicious seafood. In the city’s southern district is Oryukdo Island, which actually consists of 5 or 6 small uninhabited islands. Standing on the transparent skywalk extending over the sea, visitors can see all the way to Japan on a clear day. A nearby coastal walking trail connects to scenic Igidae Park and provides stunning views of the city skyline. Another popular natural destination is Haeundae, which includes sandy Haeundae beach with soaring skyscrapers and mountains as a striking backdrop. Nearby Dongbaekseom Island is known for its red camellia blossoms in winter. In Central Busan, visitors can get a feel for the city’s history as an important port in the region. The iconic Jagalchi Fish Market serves businesses and tourists alike with its impressive selection of seafood. Arrive early in the morning to see the daily catch brought in, then summon up the courage to order san-nakji—freshly killed octopus that is still wriggling! Formerly a refugee settlement, Gamcheon Cultural Village has now earned the nickname “the Santorini of Busan” after local university students redecorated the buildings as an art project. Now, the unique revitalized village is home to many art galleries, museums and cafes just waiting to be featured on your Instagram feed! A valid passport and Korean visa are required for all visitors to the Republic of Korea. However, a total of 104 countries have some type of visa waiver agreement with the Korean government, where visitors may enter the country without a visa for either a 30- or 90-day period. Delegates who do require a visa to enter Korea are encouraged to begin the application process at their earliest convenience. Visas can be issued by Korean embassies or consular offices in the applicant’s country of residence. After registering for APVRS 2018, delegates can generate a letter of invitation for visa application purposes via the Congress system. 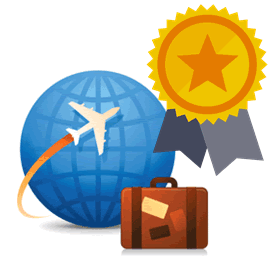 For a complete list of countries with visa waivers and further details, please click here. Seoul is both the capital and the largest city in South Korea, with a population of around 10 million residents. It is an economic powerhouse that is also one of Asia’s major centers of arts, culture and entertainment. With a history of more than 2,000 years, Seoul’s ancient roots are still visible today in its beautifully preserved palaces, temples and city gates. One of 5 palaces in the city, Changdeokgung is recognized as a notable landmark on the list of UNESCO World Heritage Sites. After hosting many large-scale events the 2010 G-20 Summit and the PyeongChang 2018 Winter Games, Korea is well equipped for international travelers with its excellent public transportation network and technological infrastructure. What’s more, the city’s exciting nightlife and plentiful street food make for a truly unique destination. Discover even more about the city has to offer this December at APVRS 2018!